Blending the best of healthy West Coast living and New World flavors, The Olive Oil and Vinegar Cookbook is filled with delicious recipes for every occasioneach one created using Theo’s own certified organic olive oils and vinegars from her company, Global Gardens. With an emphasis on family, entertaining, and a sustainable engagement with the natural world, Theo has developed a delicious array of recipes to reawaken the palate while embracing the modern tastes of laid-back California living. Using the West Coast landscape as her inspiration, Theo offers 250 gorgeously photo-graphed recipes for every mealincluding Amorous Avocado Soup, Lemon Veggie Chips, Pomegranate Pork BBQ, Triple Tangerine Dream, and so many moreincluding desserts using extra virgin olive oil. You’ll also find recipes and commentary from Chef Bradley Ogden, (awarded Best Chef of California by the prestigious James Beard Foundation), and from The Food Network regular and Healthiest Chef in America,” Bill Wavrin. Learn the value of sea salt and seaweed, the truth about olive oil smoke points and how to use the right pans, plus ideas for healthy Caliterranean living no matter where home is. 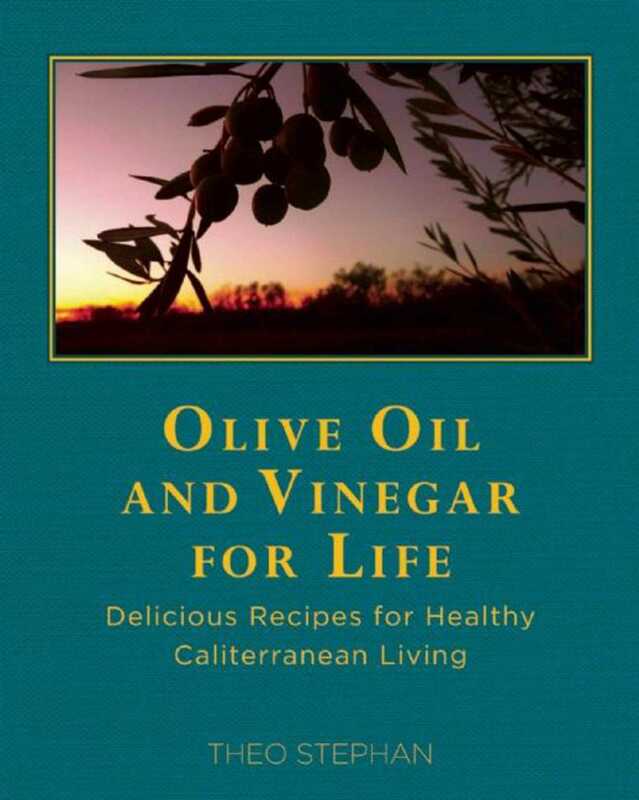 The Olive Oil and Vinegar Cookbook is an essential cookbook for health-driven foodies.